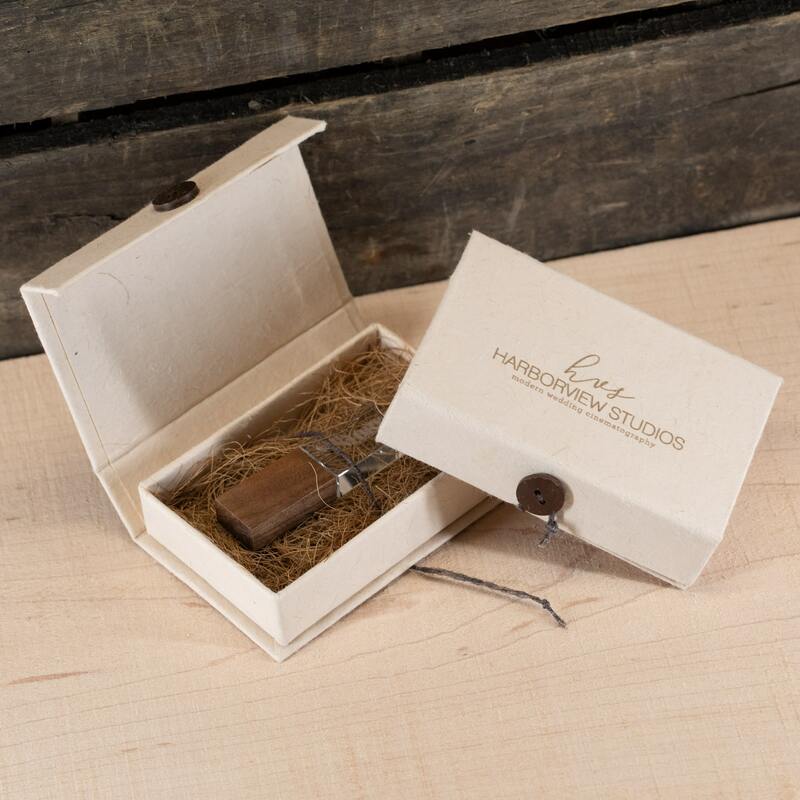 Crafted from natural cotton paper, your clients will take note of the eco-friendly Exotic Paper Flash Drive Box. 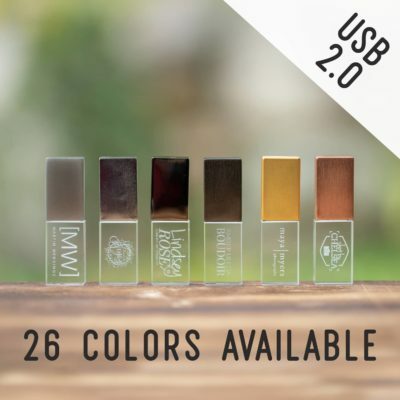 This is an ideal way to mix your digital delivery with a touch of analog, earthy style! 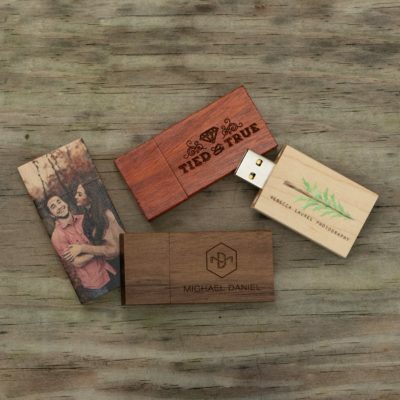 Finished with an eco-friendly cotton paper, the Exotic Paper Flash Drive Box will appeal to many of your clients, while aligning with your brand’s aesthetic and sensibilities. 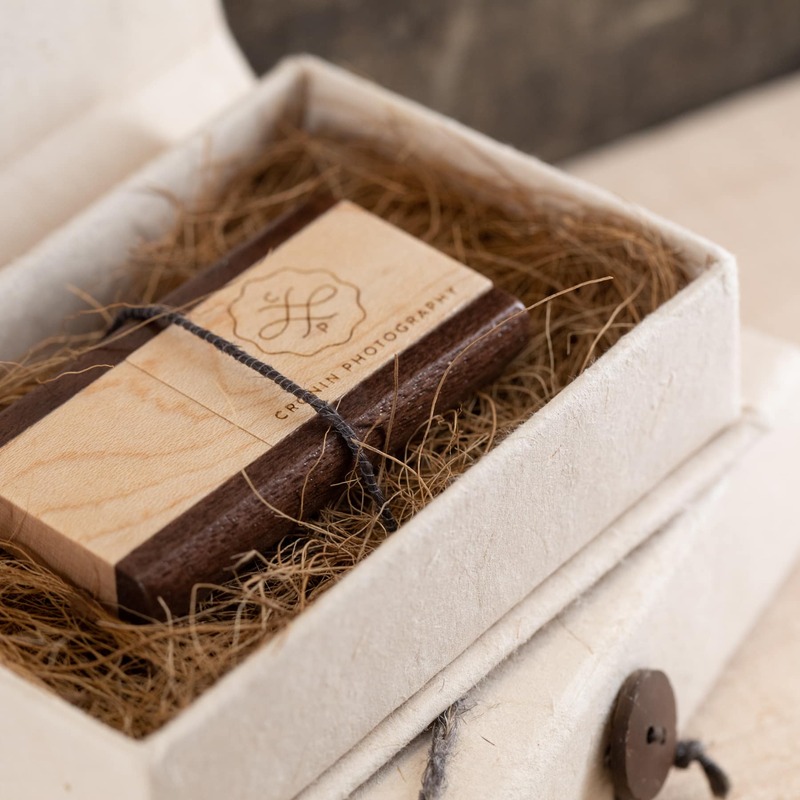 Because of the unique process involved with making cotton paper, the finished appearance and texture of each of these boxes will vary slightly, adding to the overall natural, hand-crafted essence of this product. 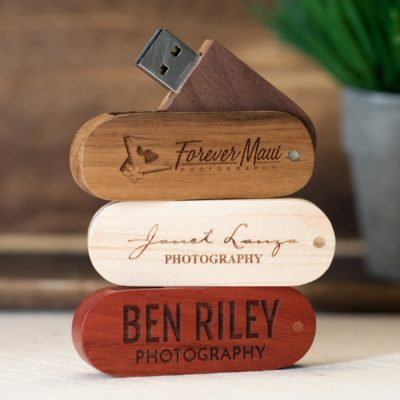 Adorn each box with your logo in a medium brown print color to add a finished look that reinforces your brand. Inside the box, your drive sits comfortably on a bed of coconut husk fibers. 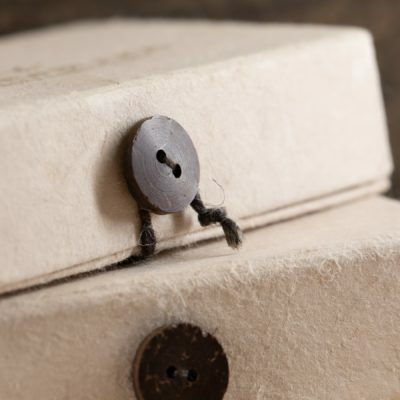 It is secured by a string attached to the bottom of the box, which then cleverly winds its way over the top of your drive and out through a hole in the bottom, where it can then be wrapped around a button positioned on the front of the box to ensure a tight close. 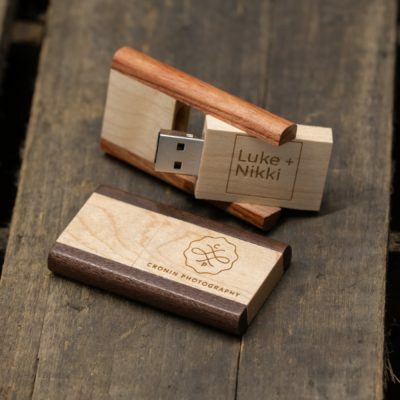 Please note: This box will not accommodate our credit card, leather evolution, cork bottle or cork-shaped flash drives due to size limitations.